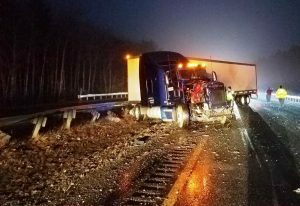 Maine State Police say a trooper was injured shortly after 5 a.m. Friday after his cruiser was struck by a tractor-trailer near the Auburn line on the Maine Turnpike. 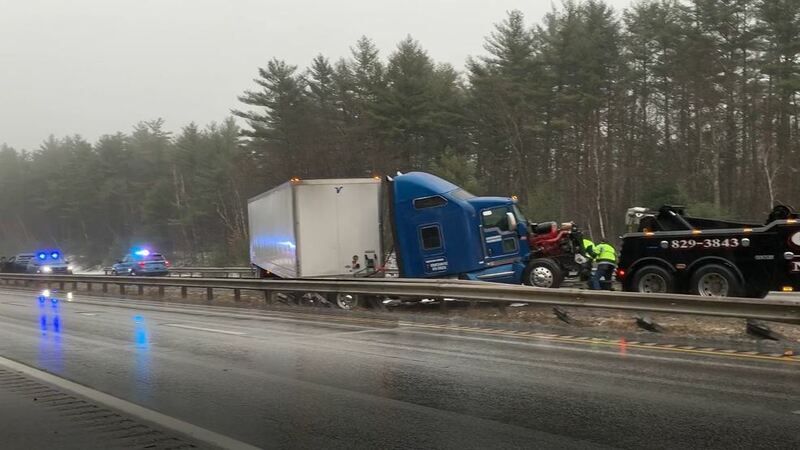 Trooper John Davis responded to a report of two vehicles that slid off the northbound lanes near mile 70, according to a statement from Maine Public Safety spokesman Stephen McCausland. The cruiser was parked in the breakdown lane with the emergency lights on, according to the statement. 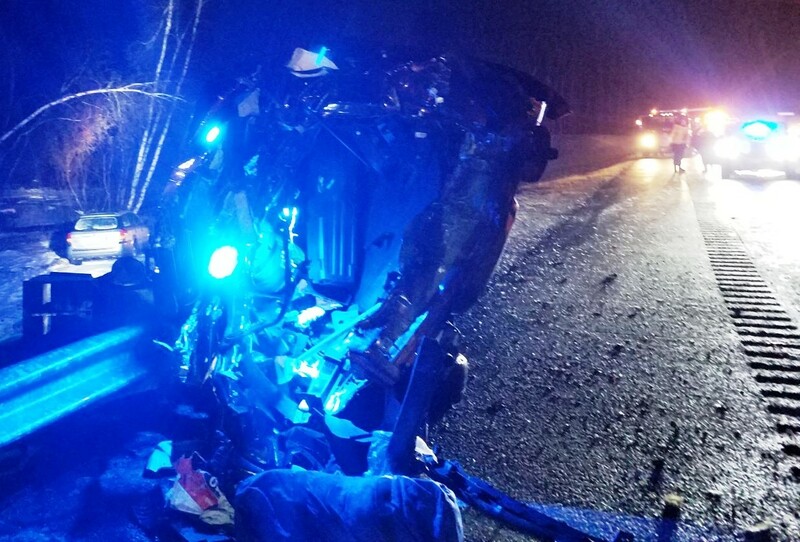 A tractor-trailer driven by Aminder Munday of Westland, Michigan, hit Davis’ Ford Explorer cruiser from behind as it was on its way to the Walmart distribution center in Lewiston, according to the statement. The impact turned the cruiser around and knocked it on its side. Davis was pinned inside the cruiser, according to the statement. Davis was taken to Central Maine Medical Center in Lewiston with non-life threatening injuries, according to the statement. He is assigned to Troop G, which patrols the Turnpike. Munday received citations for imprudent speed and log book violations, according the statement. The northbound lanes were closed for four hours from Gray to Auburn.